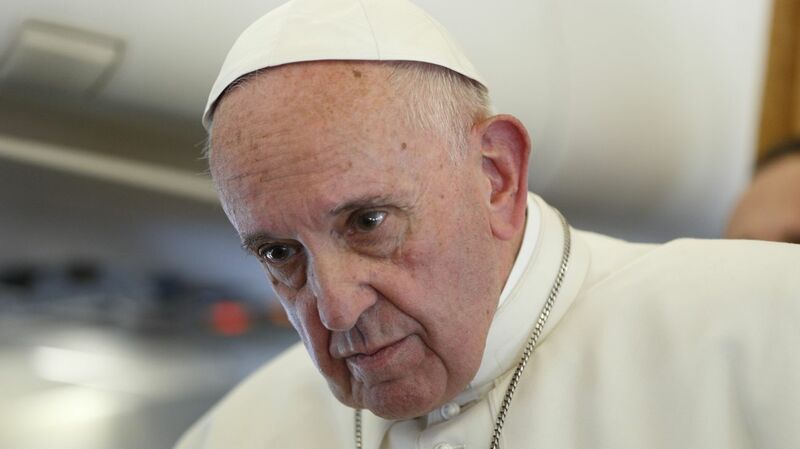 ABOARD THE PAPAL FLIGHT FROM SWEDEN (CNS) — The Catholic Church’s insistence that it cannot ordain women to the priesthood and episcopacy is a teaching likely to last forever, Pope Francis said. After being hosted by the Lutheran Church of Sweden, which is led by Archbishop Antje Jackelen of Uppsala, the nation’s first woman primate, Pope Francis was asked Nov. 1 if the Catholic Church might one day have women priests and bishops. In one of his briefest airborne news conferences, Pope Francis spent just over 40 minutes with reporters and answered six questions ranging from Sweden’s newly restrictive immigration policy to the role of women in the church. He also was asked about his experience with charismatics and Pentecostals, the roots of his concern about human trafficking, secularization in Europe and his meeting in late October with Venezuelan President Nicolas Maduro. “It’s not human to close one’s heart,” the pope told reporters flying with him from Sweden back to Rome. As he has in the past, Pope Francis insisted nations live up to international agreements offering special welcome and protection to refugees fleeing war and persecution. While Catholic social teaching holds that every person has a right to migrate in search of a better life, accepting newcomers is a serious obligation when the person’s life is at risk. Like in any conflict, he said, “either you dialogue or you scream.” The political and social tensions in Venezuela — tensions that have unleashed a major economic crisis and huge suffering for many — must be resolved with dialogue, he said. The secularization of Europe, or of any society, the pope said, is usually the result of one of two factors: “a weak evangelization” caused by “lukewarm Christians” or a cultural process in which a growing number of people start thinking they are the lords of history. A “healthy” form of separation of church and state is not the culprit, he said.